You Are Here: Home » Holidays & Occasions, Summer, This n' That » We gotta keep cool this Summer too! We gotta keep cool this Summer too! This is Ginger one of our 5 hens We have to think more than just US this summer to keep cool. Nothing like COLD watermelon on a hot Florida summer day! This sweet gal is Katie. 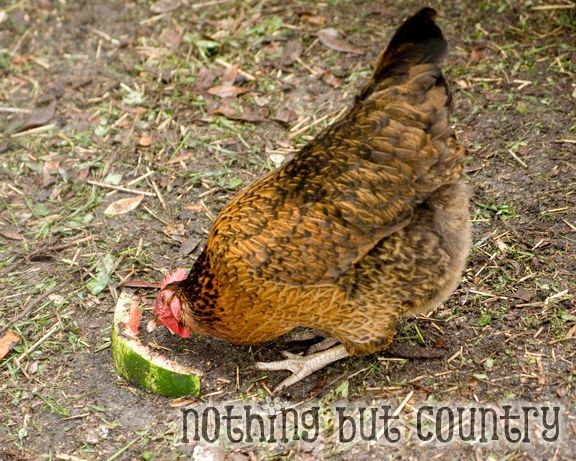 (My daughter named her) The hens even enjoy eating the rinds from the watermelon. YUM? This is our biggest girl. Her name is Katniss. 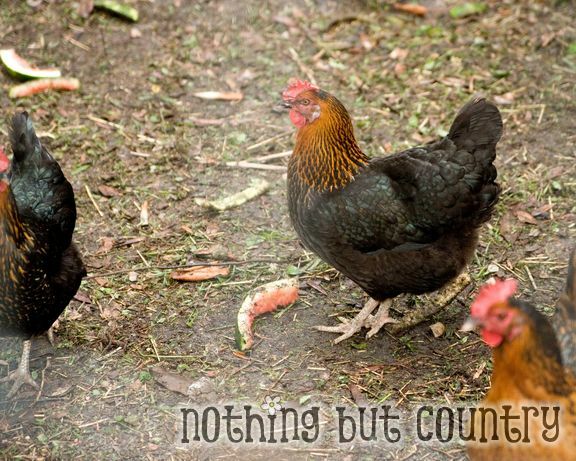 (YUP- you guessed it– Hunger Games) She is at the TOP of the pecking order and is the boss. What an appropriate name for her. Happy Hens = More Eggs = Happy us! 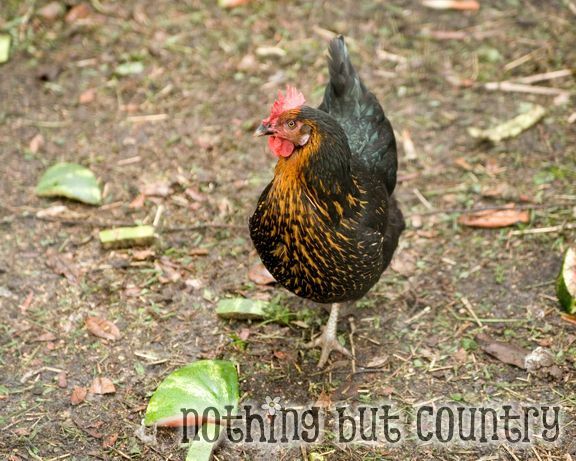 Any other Nothing But Country fans have chickens?? Love to hear about them We love our girls! !